The following set of questions could be given to students to discuss research and answer at the end of the case study exercise. 1. 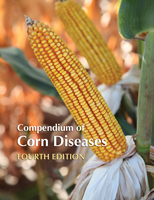 What production practices in the U. S. Corn Belt increase the risk of disease in a field? 2. Foliar fungicides have been marketed for plant health benefits. What are examples of these plant health benefits? Can the potential for these benefits affect fungicide use decisions? 3. What is fungicide resistance and what are the risks of foliar pathogens in corn developing fungicide resistance? 4. What is the relationship between legislation related to biofuels, corn prices, and fungicide use? 5. Pablo’s position is that the family use high-yielding susceptible hybrids and scout. What is scouting and how is it done? How does scouting influence the perception of disease risk? 6. How could a grower determine if he will make a profit or a loss with a fungicide application? How could the increasing availability of generic fungicides influence this consideration? The answers to these questions are available to instructors in the password protected section. Any instructor is welcome to register for access. A follow-up assignment could be given to students. This could be in the form of questions related to the study or a written summary of the components that farmers should consider before making a production decision. A brief or press release article on factors students think influence the farmers in making their decisions could also be considered and collected a week or two after the class.